Do You Get Frequent Headaches ? Headaches are more common than ever today! We live in such a stressed out world it’s NO wonder we get Headaches! The most common headache is “TENSION.” Also known as “Stress ” headache. Yes it’s caused by stress. It’s a light to moderate pain and it feels like a tight band around your head. Have you ever had one? The pain is Real. 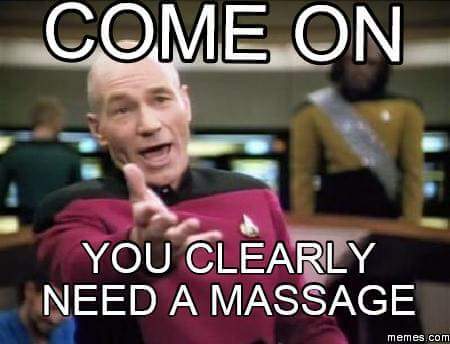 Have you tried Massage? More than 3 million people experience this headache pain a year. People will go to their doctor for meds as the pain can be very severe at times. Have you ever thought about getting a massage? Massage can help relieve those muscle spasms you are feeling. It can help improve your blood flow and circulation. It will help your muscle tension and bring you much needed relaxation! Why do people wait until they are in serious PAIN before they get massage therapy ? Regular massages can help improve your oxygen levels and help reduce your pain. Why take meds that only put a bandaid on your wound? In the long run massage sessions are your best bet! What are you waiting for? Make that call today! DON’T suffer any longer!